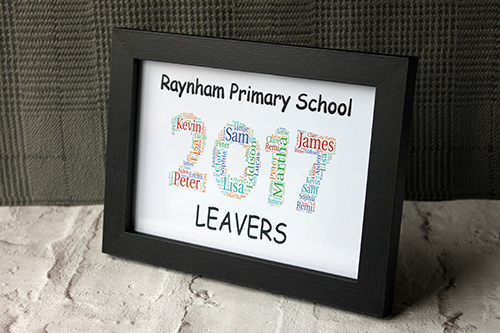 Personalise your graduation presents Frame and add your own unique words. 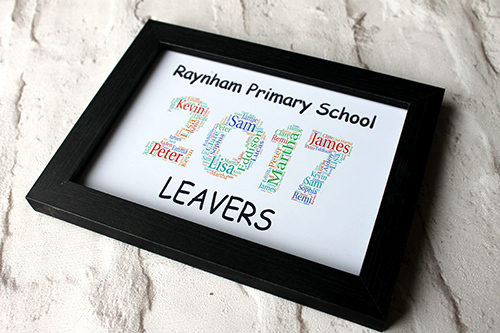 Our graduation frame for schools measures 5inches by 7inches approx is handwritten, handmade and professionally made in the UK! 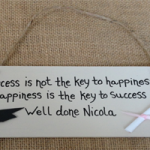 It can hang from any wall, door or any other possible place you could hang a plaque from, with the natural twine which is included. FIRST – Choose the drop down COST PER ITEM and select you range you want E.g. If you are buying between 1 – 4 Prints you choose the 1-4 prints option, if you wanted between 5-9 prints, you would click on the 5-9 prints option. SECOND – You still need to select the EXACT amount of Prints/Frames that you want to buy E.g. If you want 11 Items you select Quantity 11 – if you want 27 items you select quantity 27 in the quantity box. Are you looking for some graduation presents? 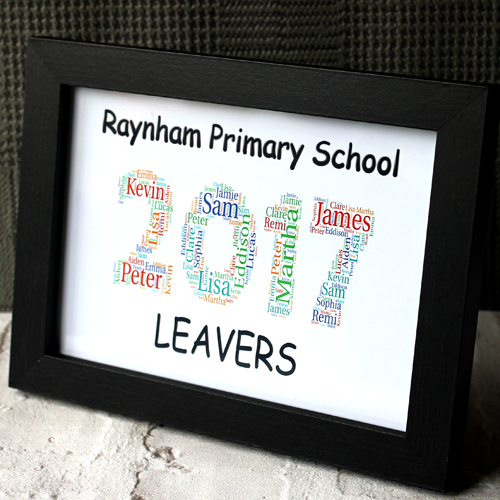 This personalised print for primary school leavers is a great keepsake for graduation presents. You can have all your class friends, and teachers names! 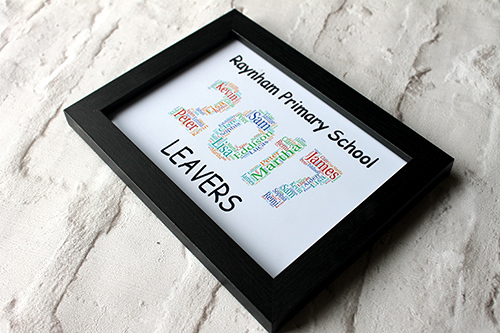 The frame can be personalised in colour between white or black, the print is professionally printed on 230gsm photo paper, and measures 8×8 inches in size. Have a look at our graduation product range and choose one of our unique graduations for that special someone who is celebrating there graduation. They will love being reminded that they graduated!